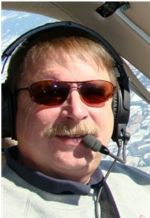 Recent accident cases involving pilots not properly completing logbook entries warrant discussion. So why should you care? Well, let’s look at a hypothetical. Say you have to shoot an actual instrument approach one evening and inadvertently go off of the runway collapsing the gear. Just for good measure, your passenger then slips off the wing while egressing and bumps her head requiring ambulance service. The FAA inspector shows up the next morning (depending on sequestration and slimdown effects it could be much later, but I digress) to talk to you and look at the airplane. The inspector will almost certainly review your pilot logbook to see if you are current. Are you ready for that talk? Is your logbook in order? For instance, I have seen log book entries for instrument approaches with no corresponding entry for actual or simulated instrument time (FAA rules allow you to log both actual and simulated approaches for the purposes of currency). You cannot log an approach for currency without also logging actual or simulated instrument time. The regulations state that in order to file and fly under instrument flight rules (IFR—not the weather) one must have completed and logged tracking a radial, a holding pattern and six instrument approaches in the preceding six months. So how do you log your time? If you takeoff in VMC conditions, climb up and get to cruise altitude VMC, begin a descent in VMC and you go into the clouds at 5000’ AGL and come out the bottoms at 600’ on the approach then the time from 5000’ to 600’ is actual instrument time and one actual approach should be logged. If it is VMC the entire way and no view limiting device (hood) is used then no instrument time should be logged even if you are on an IFR flight plan. You should also note in your logbook the airport and approach you completed (for example 2.0 total flight time; .5 actual instrument time; 1 actual instrument approach; KSUS; ILS 26L). If the weather is VMC for the entire flight you may still log instrument time, but you must have a rated and current safety pilot onboard and use an approved view limiting device (instrument hood, Foggles, etc.) for the time you log. In that case you would log simulated instrument time. For example, you take off VMC, climb VMC to cruise altitude (.5 hours), then put the hood on, descend and complete a simulated instrument approach to the Decision Altitude (.7 hours). For this flight you should log 1.2 total time; . 7 simulated instrument time; 1 simulated instrument approach KSUS; RNAV 26L; Joe Bagodonuts-Safety Pilot. Note this entry includes the name of your safety pilot; this is an FAR requirement. >Here's a red flag for an FAA inspector: Instrument time should always be less than total flight time for any given flight—unless you taxied to the runway in fog so thick you could not see the taxiway, flew the entire flight in actual instrument conditions and ended it with a CAT III approach—in fog so thick you could not see the taxiway on your way to parking. On a similar note…..if your logbook indicates more than 10% of the total time is instrument time it is likely you are not logging time correctly. I recommend that pilots use the opportunity to fly with a safety pilot or CFI to hone their instrument flying skills.